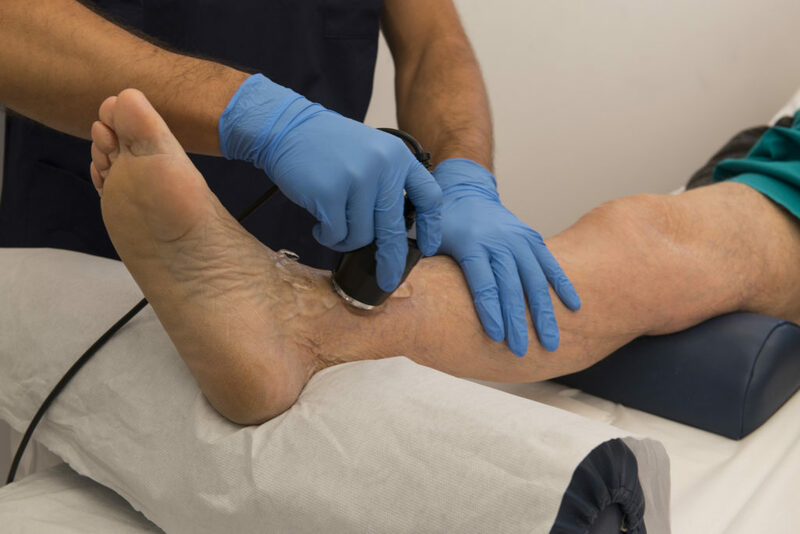 Therapeutic ultrasound is a form of deep heat therapy created by sound waves. When applied to soft tissues and joints, the sound waves are a form of micro-massage that help reduce swelling, increase blood flow, relax muscle spasms, repair damaged tissue, and speed the healing process. Pain, stiffness, and spasms are decreased and range of motion is increased. It assists in the repair of both hard and soft tissues and can be used to break up scar tissue, adhesions and reduce nerve root irritation.